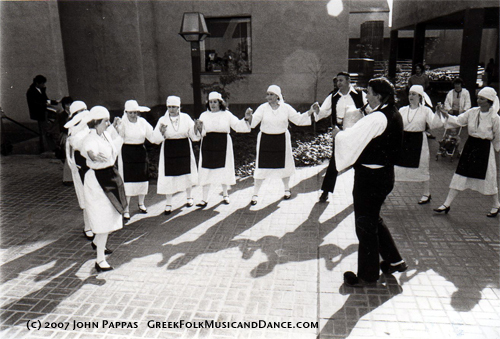 San Joaquin Delta College Hellenic Dancers doing the Greek Syrtos dance at the school's new campus dedication in 1977. 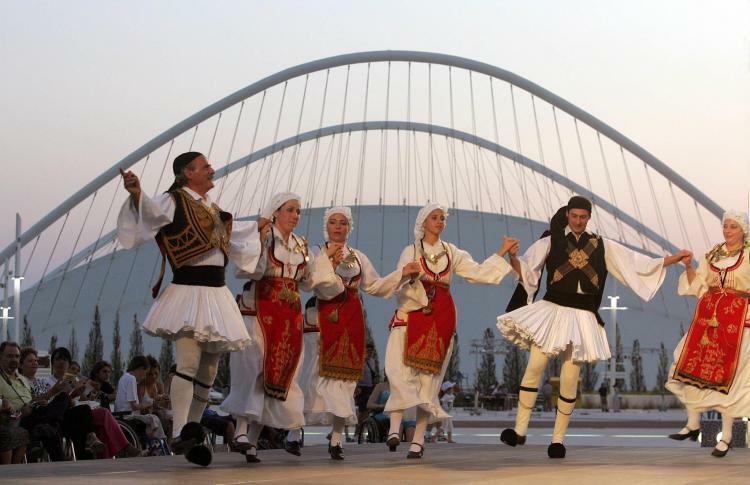 They wear the traditional Greek folk dance costume. A musician is playing a Thracian gaida in the center of the circle, leading the dance. Used with permission. The Greek play has a chorus. Well what does chorus mean? It’s a ring dance; it’s a circle. Same as our word curve; Latin: curvus; going around. The chorus sings, and the chorus of the muses sings the poiema, the creation song . . . When they sing together, it’s the poiema, the song of the creation. It’s a glorious thing. It’s a round dance like the Egyptian maypole. The more one learns about the arts, the more one is convinced of Nibley’s stunning summation.